Talking to Minister regarding the consequences of importing bees. 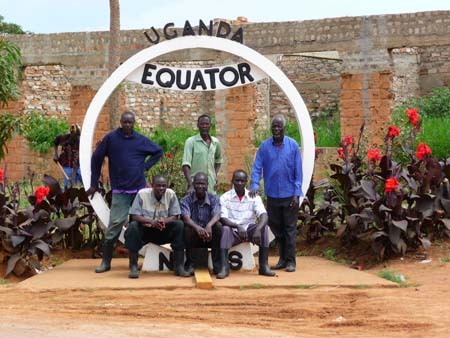 International exposure for Ugandan beekeepers. 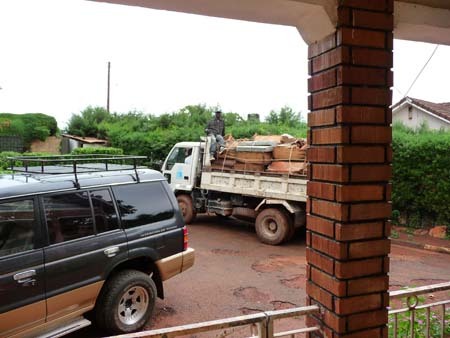 How does one define a sustainable beekeeping project?……………………. 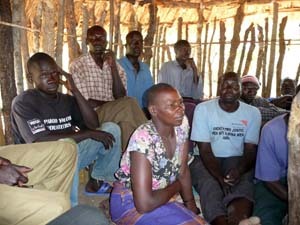 There are many people who want to help in alleviating poverty in third world countries. I know it is for a good cause. I admired that. 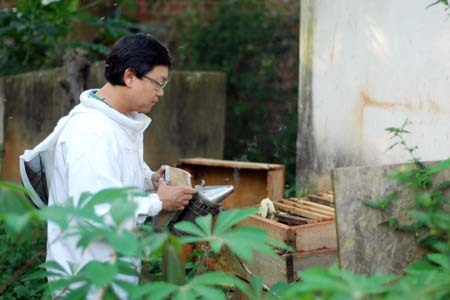 Thus beekeeping is one of nature’s ways of providing a source of income opportunities for these farmers. 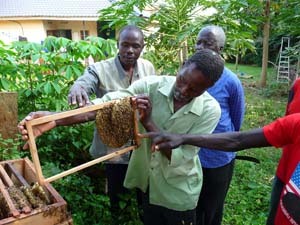 Many Organizations will come in and give the villagers their entire high-end, expensive, complicated beekeeping equipments. There are a few questions that always ponder in my mind. Is these kind of support sustainable? Is it really cost effective? 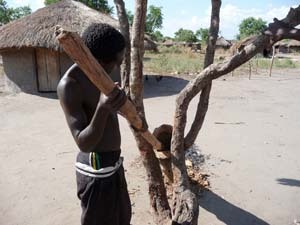 Is it really that traditional beekeeping cannot sustain their livelihood. 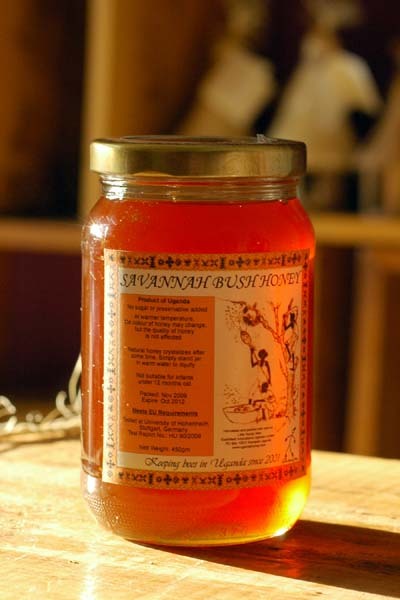 Is the honey produced from traditional beekeeping will be of bad quality like some always claimed? Is modernization of this industry the only way to go? Can the farmers keep up with the regular maintenance of the modern equipments? All my honey are harvested from traditional beehives and yet they are still able to meet EU legislation when I sent them for testing in Germany. 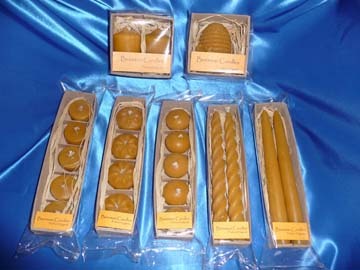 I wondered where did they get this idea that honey from traditional beehive will be of bad quality. 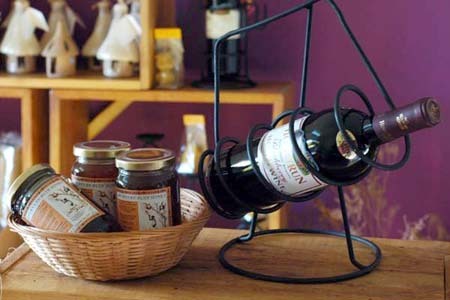 All honey inside the beehive is good quality honey. 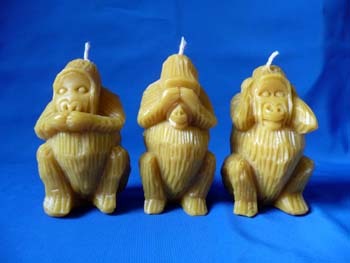 The only time you get bad honey is when it is being harvested by the farmer without understanding the correct method of harvesting. 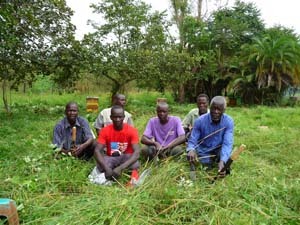 Recently I was reading some news about some NGOs giving funds and modern beehives again, (too many that I had lost count) for some communities and associations to start a modern beekeeping project because they feel that that is the way to move forward. 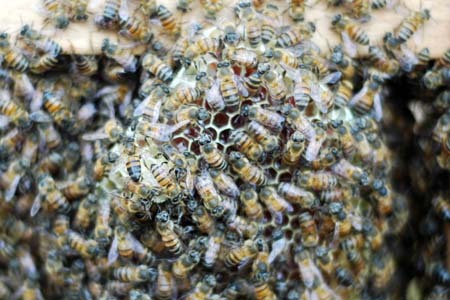 In the article, they mentioned that bees are unlike poultry, where feeding is required. Bees find their own food. Is that really true? Has the Organization done any studies on this industry before helping to develop the industry? Have they really understood how the investment will lead to if the true picture is not visualized? Are they really sure that the initial investment can be recouped in one year and a farmer continues earning profits thereafter for more than 10 years, without additional capital investment or regular repairs of the beehives due to wear and tear? Are they painting a false picture that beekeeping is easy money? Will the farmers get disappointed if the whole thing turns out not to be what it seems? 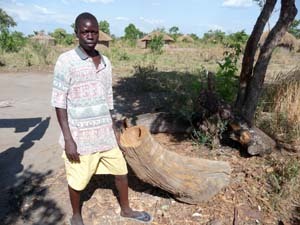 Given the tough conditions of the environment, and the lack of good, precision carpentry equipments to produce the beehives, I really cannot see how the farmers are able to maintain the hives. Understanding where the farmers are coming from, in terms of the art of beekeeping passed down from generations, it will take a steep learning curve for them to handle bees in a modern langstroth beehive. It is not a one two-months kind of learning process. On the contrary, all the farmers that I am working with are so well versed with the traditional hives and the kenyan top bar hives. 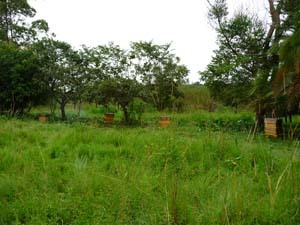 I had worked with farmers with different types of beehives and langstroth is the only hive that they do not know how to handle the bees, especially the aggressiveness of the api melliferra scutellatas. In the article, the farmers were taught to put the langstroth beehive on a platform about two meters high! I was going…What!?? Langstroth two meters high above the ground? I wonder how are they going to inspect the honey chamber that is more than two meters high on a regular basis. 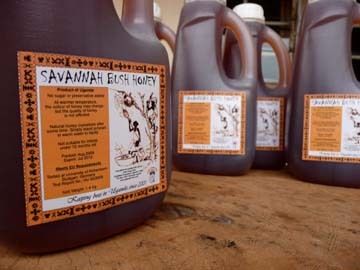 If the honey quality is not an issue, which I know, Lets us have a hypothetical scenerio to see the sustainability issue. Gross loss for farmers for 1st year, excluding protective gears and other minor repair work of the beehive – Ush100,000 minus Ush120,000 = (Ush20,000). 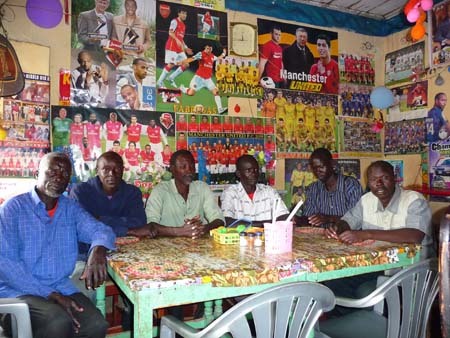 How can the farmer make profit in the first year? Here is the cost of a traditional beehive investment…. 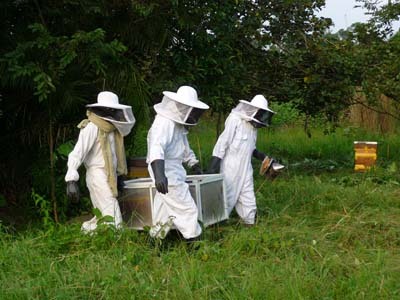 Gross profit for farmers for 1st year, excluding protective gears and other minor repair work of the beehive – Ush60,000 minus Ush5,000 = Ush55,000. 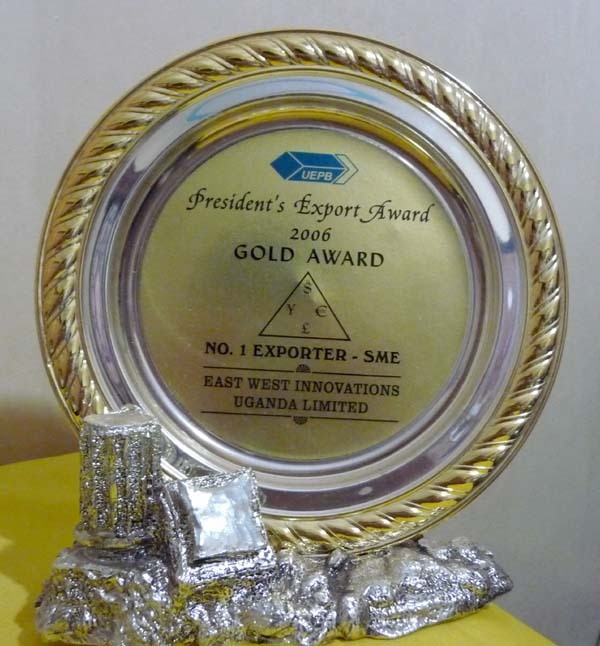 Based on the cost of 10 langstroth beehive – Ush1,200,000, the farmer can acquire 240 traditional hive. Therefore for 240 hives, the farmer will get 240 X 15 X Ush4000 = Ush14,400,000. I do not forsee all 240 hives colonized and producing honey. 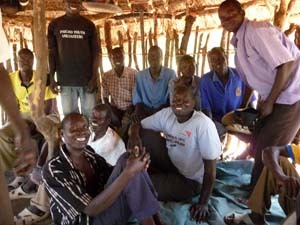 If we were to go according to Pareto’s principle, we will only have 20% of the work force producing, thus giving the total production income of only Ush2,880,000 – Ush1,200,000(cost of 240 tradtional hives) = Ush1.680,000 per household. This figure is more realistic and achiveable. If you were to multiply the cost of the number of traditional beehives the farmer can get out of one langstroth beehive, you will be able to see that the farmer will be able to sustain much better with traditional beehives. 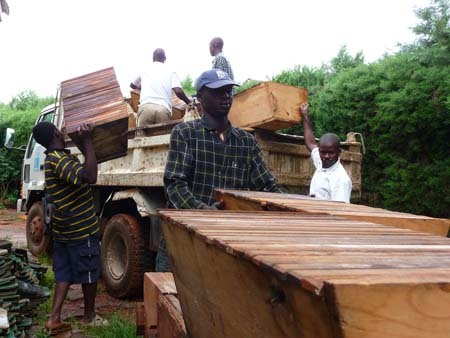 By the way, with the high cost of beehives, how many langstroth beehives does the farmer need in order to make beekeeping business a viable business? Provided that the farmers has a centre to extract the honey, I cannot see how the farmer is going the get the money to buy all the expensive extracting equipments to get the honey out. 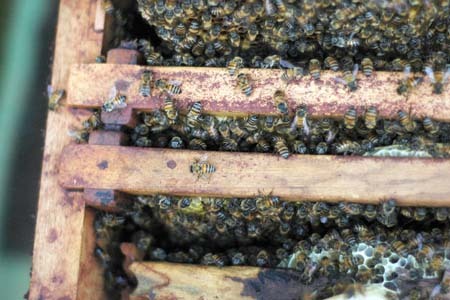 African honeybees produce a lot of propolis and the chances of breakage of the langstroth frames due to the difficulty of prying it out is great. I use to have langstroths but it never work because the need of precision work on these frames is almost impossible. On top of that, the frames require stainless steel wires to hold the wax foundation onto the frame. The cost of stainless steel wires is so expensive here and you might not even be able to get it. So if they were to use normal wires, the honey will subject to contamination due to rusting of the wires. 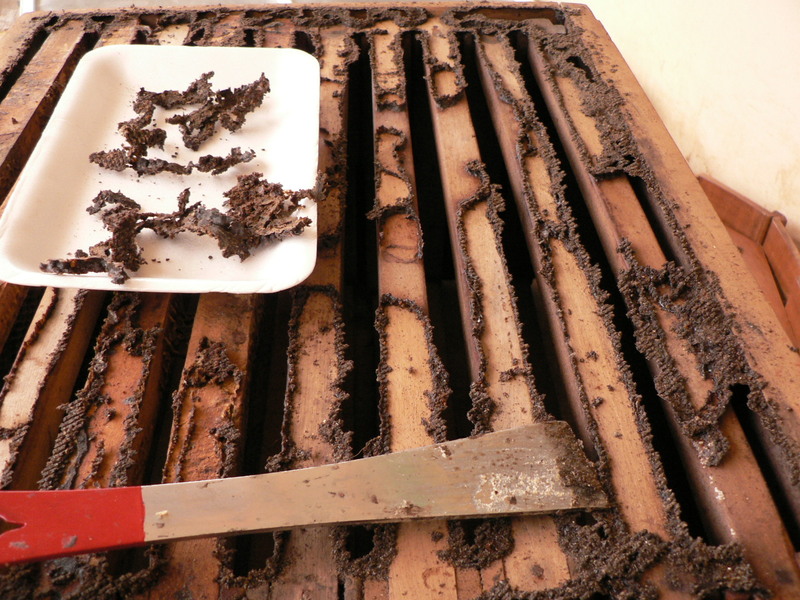 Recycling the empty combs after extracting the honey is not a good idea because that will lead to contamination again. 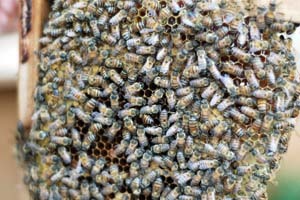 There is this possibility of fungus growth on the combs after they had been taken out from the hives. It does not save much time for the bees to build again. In short, actual beekeeping is not as simple as it seems. There are lots of unseen factors that many chose not to recognise. I can only concur with the last paragraph in the article. 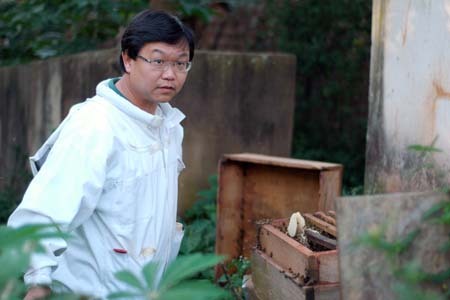 It says many people have tried beekeeping but without the required knowledge, commitment. You need good preparation, training and constant advise. Like any other venture, you need to do it right to harvest right. Other than this paragraph, there are open-end questions. It’s more like the project will end when the paperwork ends. since half of the colony had left for a new home, i have decided to do some house cleaning. i need to reduce the size of the hive by taking away the top super. you see, bees are very sensible insects. if they discover that their home is too big for the family, they will look for another home that is suitable for their size. so since the colony had shrunk, i have to reduce the size of their home to make it more cosy for them. this way, the house bee will not complain of too much work less they will be stressed out soon. Meanwhile can you see the black gooey substance that is sticking on the top of the beehive? well they are call “Propolis”. 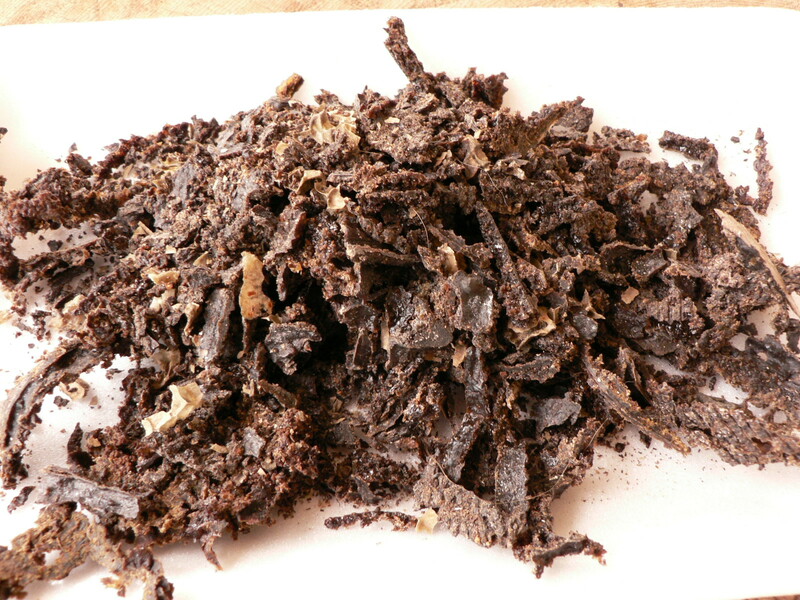 there are a lot of write ups about propolis when you google. you will be amazed by its potency in your findings. 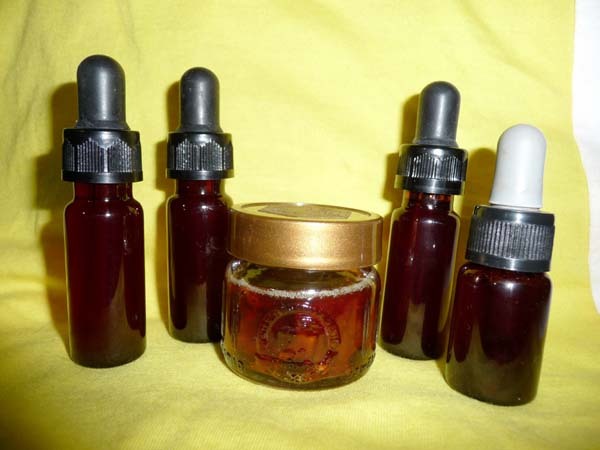 i collect these propolis and turn them into tintures, paste and cream. it fetches quite a high price in the market.